The newly renovated Super 8 is a great destination spot for your traveling needs. 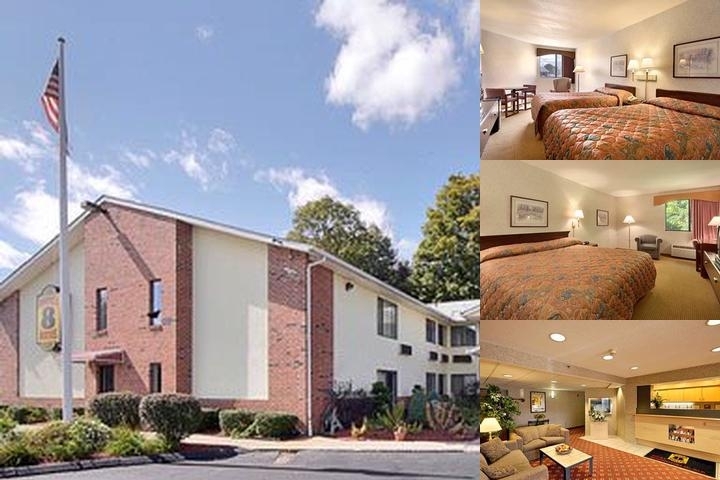 The property is conveniently located at the crossroads of New England off Interstate 91 and I-90 Mass pike in West Springfield and in the hub of ten major colleges including UMASS, MT Holyoke, Amherst, Holyoke Community, Springfield Technical, Westfield State, American International and Springfield College. The property is close to Six Flags New England, Basketball Hall of Fame, Eastern States Exposition, Mass Mutual Center, Magic Wings Butterfly Conservatory and Yankee Candle and, surrounded by several restaurants and shops.We provide Free High Speed Wireless Internet, Complimentary SuperStart Breakfast, Free Newspapers and Local Calls. Our rooms feature 25 Inch TVs with Extended Cable and Free HBO, Hair Dryers and Alarm Clock Radios. Refrigerators are also available in most rooms. Try one of our Whirlpool Suites for a relaxing evening away from home. No Pets allowed.